Every time I start new stitching and use the thread-lock-feature (sew-in-the-same-spot), I get a wad of threads on the under-side of the fabric. I'm betting there is a way to prevent this... any suggestions? Are you holding the top & bottom threads or using scrap leaders to begin sewing into before you insert your fabric for actual stiching? Does it do the same thing when you sew a regular straight stitch? Kaykid, i love applique and do a lot of it by machine. What works for me, try it yourself: do just one stitch so the needle goes down only once and pulls up (just to start dont use the needle down feature if your machine has it), then, pull the end of the top thread so it brings the bottom thread up. Once you have both ends, use the knot feature while holdingthe threads with your left hand. As soon as the knog is done you can cut both ends against the fabric or hide them with a needle underneath the applique. You could still use a Leader .... stitch onto the Leader, then leave a thread long enough for you to get to the stitching place. 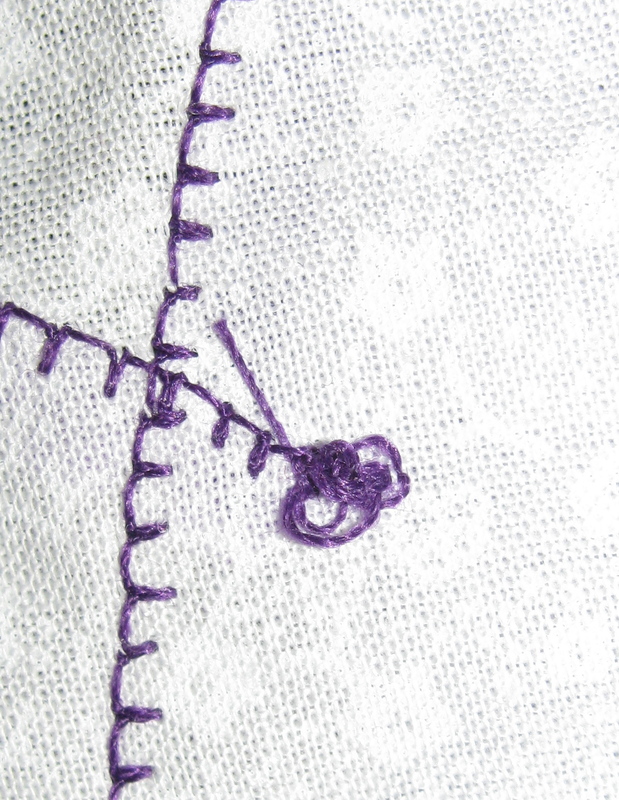 Otherwise, take one stitch to draw up your thread, as you would for FMQing ... and then hold the ends when you start. Great tip! I never thught of doing it that way. I am going to have to try this.